As Delaware County officials plan what to do about an overcrowded county jail, a community-organized forum Tuesday night made it clear that some county residents don’t agree with the county commissioners’ solution. IPR’s Sara Barker reports. 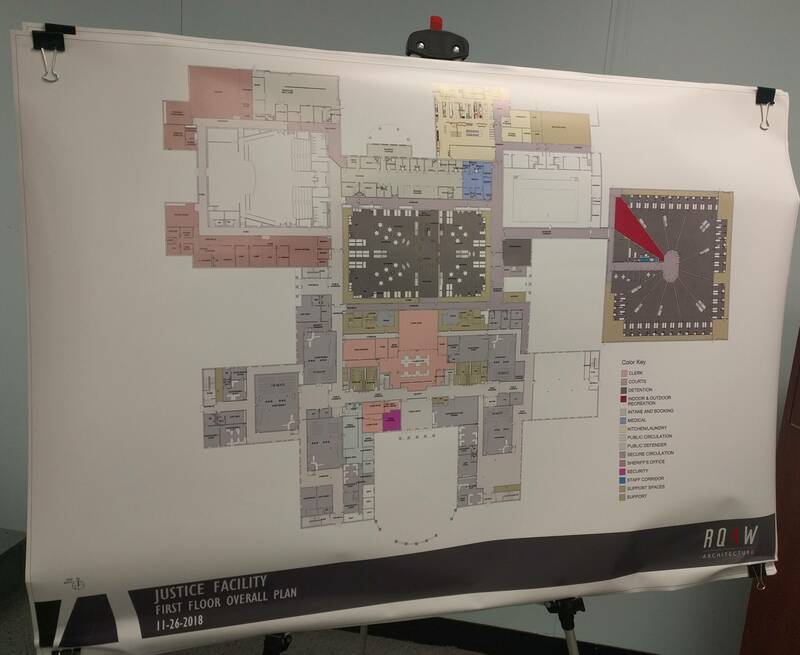 Delaware County Commissioners want to create a justice center, locating a new jail, Sheriff’s Department, and courts inside the former Wilson Middle School building at Tillotson Avenue and 26th Street. The new jail would more than double the current capacity, able to fit 500 beds. 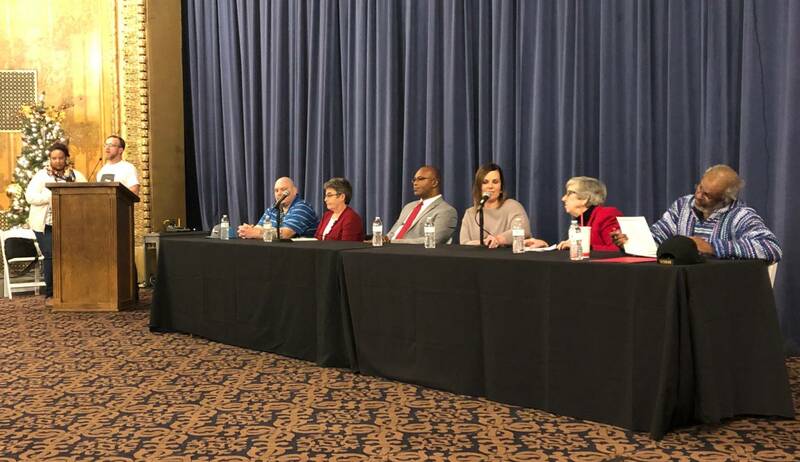 Commissioner Sherry Riggin was part of the panel convened by Muncie’s Reconciliation Achieved through Community Engagement (R.A.C.E.) group. She said she saw how quickly the current jail, which was built after inmate lawsuits over jail conditions, became overcrowded. “I was in the auditor’s office when I saw the waste of the current jail, and I remember hearing the horror stories about when it went to bid maybe that the products that they put in there were not the best,” Riggin said. But some residents questioned the $45 million price tag of the proposed plan. And Ball State professor Michael Burayidi said Muncie’s downtown would take a significant hit if those offices were to leave, possibly closing businesses. “Businesses in the downtown depend on foot traffic for their health, and I estimate there might be about 100 plus people who come to downtown to use legal services or to go to courts, and therefore the removal of this foot traffic from downtown means that there will be fewer people shopping downtown,” Buriyadi said. Commissioners have not publicly scheduled a second reading on the jail plan. Their next scheduled meeting is December 17.